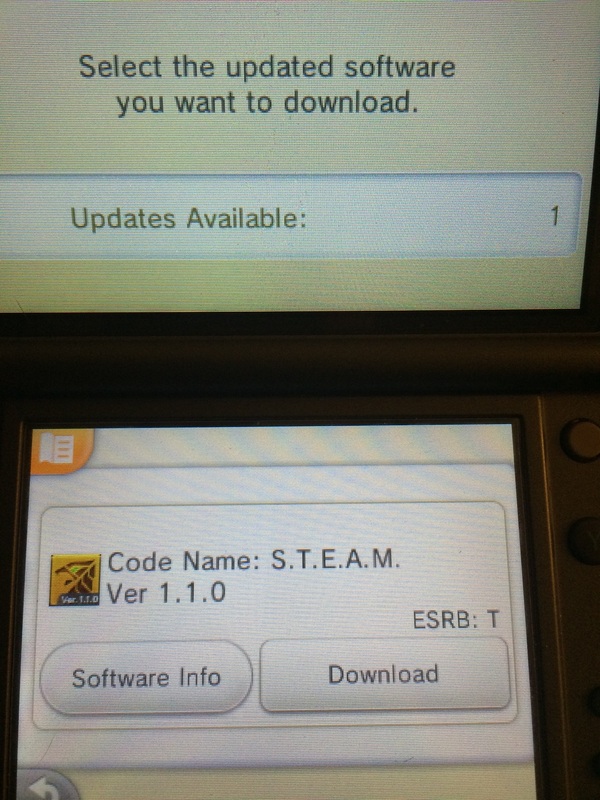 Nintendo released a update to it's recently released game CODENAME S.T.E.A.M. Last week during the April 1st Nintendo direct presentation the developers of CODENAME S.T.E.A.M mentioned an update that allows you to fast forward during battles. This game is a stradegy turn based game, and many people have complained the enemy turns take up too much time and makes the game dull. This update takes only 27 memory blocks and is now available to download from the 3DS E-shop. If you have a 3DS you can fast forward during the enemies turn by 2x speed. 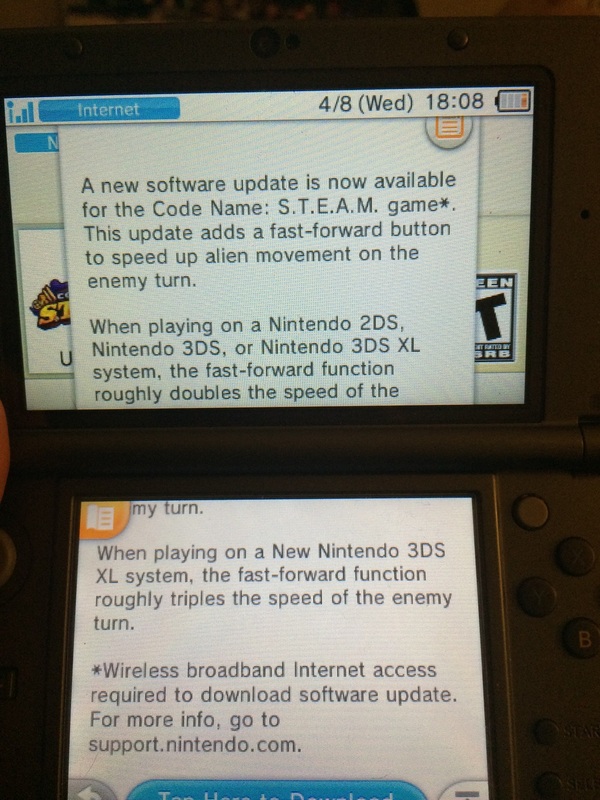 If you have a New 3DS the speed is increased to 3X speed. I was planning on Reviewing CODENAME S.T.E.A.M anyway and haven't had time to play it much so my review will be focused on playing the game in 1.1 version.